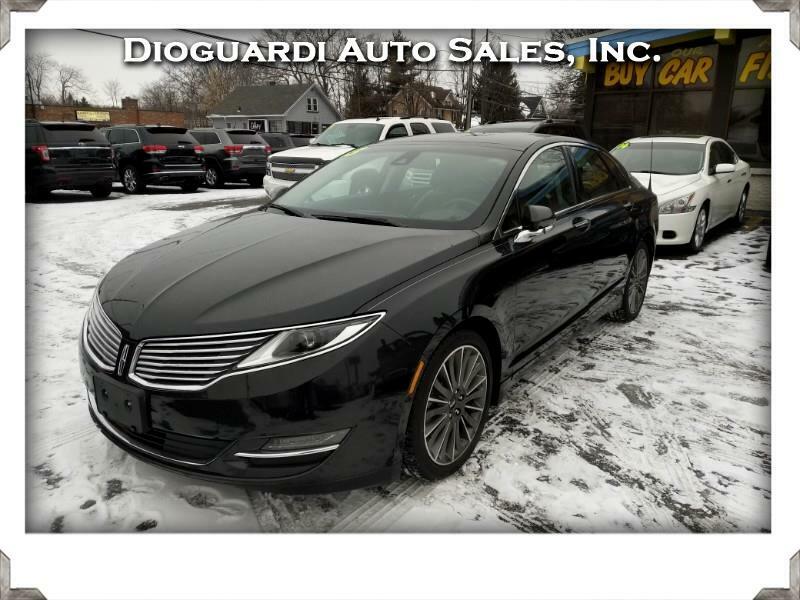 Used 2013 Lincoln MKZ AWD for Sale in Rochester NY 14609 Dioguardi Auto Sales, Inc. Completely re-designed for 2013, the Lincoln MKZ is a mid-size entry-level luxury sedan that can be equipped with a turbocharged 2.0-liter 4-cylinder engine that yields 240 hp or a 300 hp producing 3.7-liter V6 engine . FWD and AWD are paired to a 6-speed automatic transmission. Features include 18-inch polished aluminum wheels, sport-tuned suspension, BLIS® with Cross Traffic Alert, Lincoln SYNC®, navigation system, rain-sensing wipers, keyless entry, leather seats, heated front seats, cooled front seats, capless fuel filler, and 10-way power seats. Safety is comprised of an advanced 6 airbag system, electronic stability control (ESC), anti-lock brake system (ABS), safety cage, and tire pressure monitoring (TPMS). . Message: Thought you might be interested in this 2013 Lincoln MKZ.